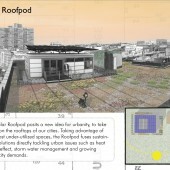 Solar Roofpod, Washington and New York, 2009-11. City College of New York, Spitzer School of Architecture. 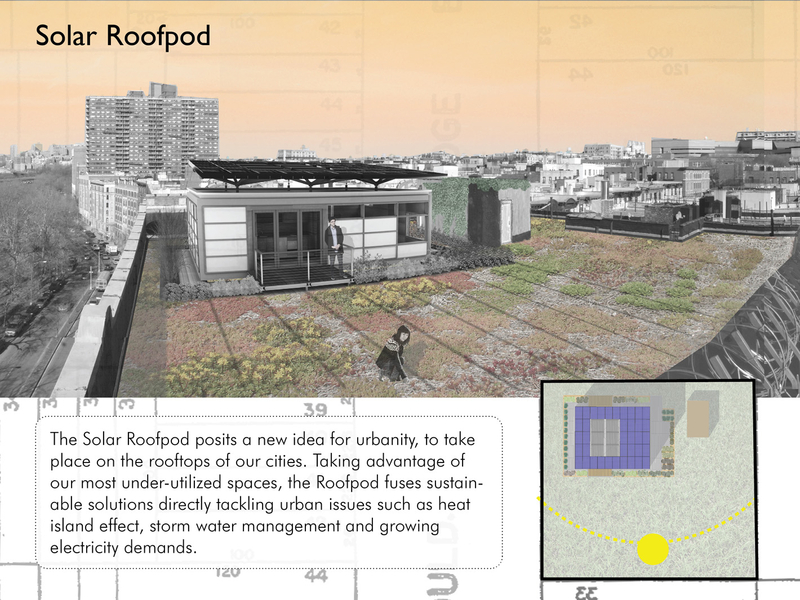 For two years, from 2009 to 2011, I have been working with 50 students on the development of a project that encompasses architectural scales from urban planning to architectural detailing in one single design: The idea of the “Solar Roofpod” is an infrastructural and architectural intervention, intended to occupy the roofs of New York City, in order to gain and manage energy for itself and the host building underneath, and therefore for the entire city. It also addresses most of the common issues associated with urban living: heat island effect, greenhouse gas concentration, vegetation loss, storm water runoff, waste management, renewable power generation, etc. and integrates them into the overall design thinking of this project. 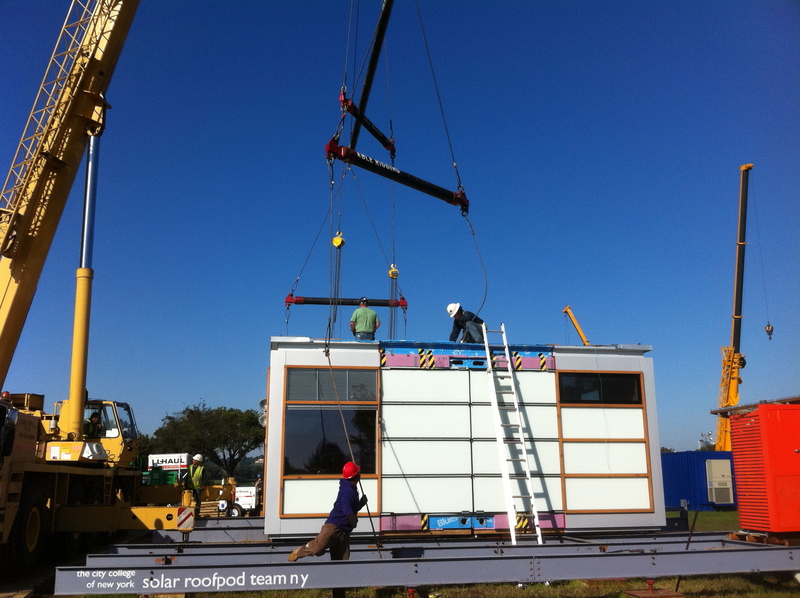 The proposal to build a project prototype was accepted by the Department of Energy’s renowned “Solar Decathlon” competition. 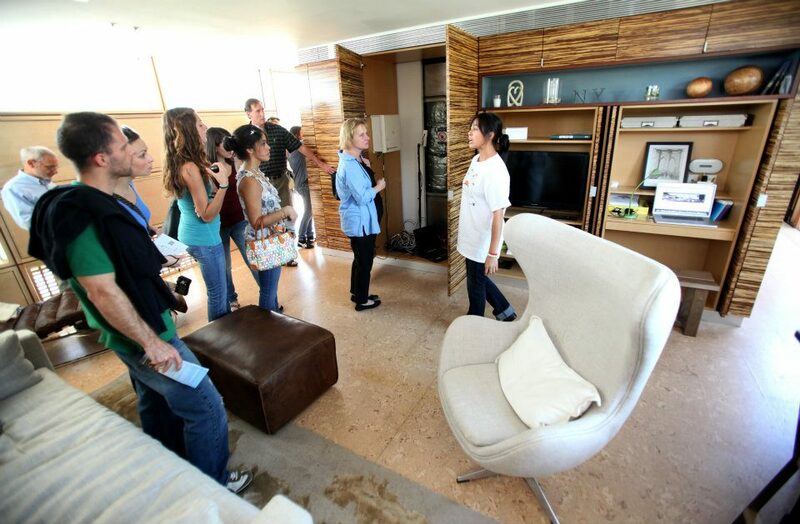 The City College of New York became one of the twenty finalists in the 2011 contest to design, build, transport to Washington and operate for approximately two weeks on the National Mall a materialized version of an energy-efficient building. The process of the design-build methodology to develop this architectural prototype has been documented in countless photographs and architectural drawings. The success of the project and the associated “comprehensive design” pedagogy suggests the documentation of an emerging architectural teaching alternative, which includes hands-on fabrication to develop design skills. 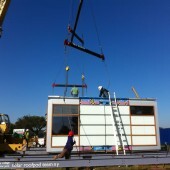 Research Question: How to apply renewable energy to urban environments.